These high-resolution aerial photographs of the damaged Fukushima Daiichi nuclear power plant were taken on March 20 and 24, 2011 by a small unmanned drone operated by Air Photo Service, a company based in Niigata prefecture. Click [Enlarge] under each image for the full version. Pretty crazy really. My cousin used to live about 15km away. Thank God he was in Australia when all of this happened. Thanks for posting. Just Wow! I just found your photos of Fukushima, and want to thank you and those who made the photos and publishing them. The pictures are better than a 10,000 words. I have sent analyses and advice to the Japan authorities. Great pictures of an awful thing. This disaster shouldn't be what frightens people from nuclear. 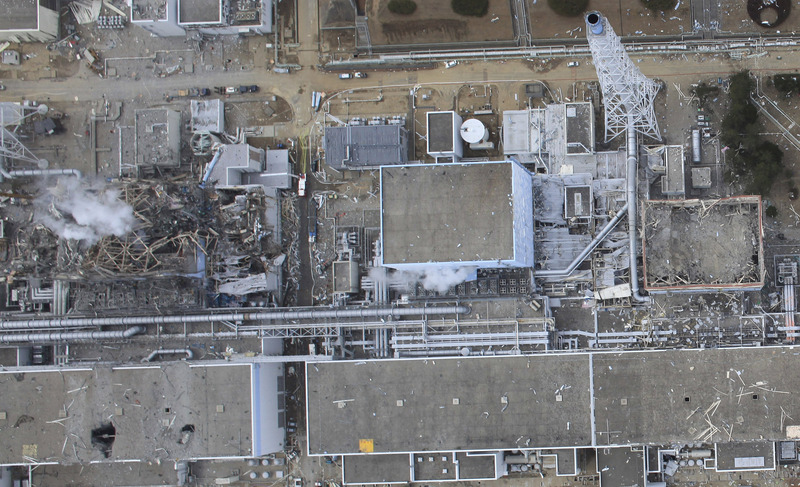 What's happened at Fukushima can happen at any other plant with the same detremental effects. Yet, these threats have been known since nuclear power was created, and instead of people learning about nuclear power, the advantages and disadvantages, we've been oblivious and waited until a disaster to make decisions. Nuclear Energy has the potential to provide more power than any other energy resource we have, and it should be embraced. Although it is undeniable that emergency operation protocols need to be advanced, but Solar and Wind (the "green" energies ) have no possible way of producing 1/4 of the energy which we consume. Before knocking nuclear, consider what you use day to day, and how much energy you really consume. Until people as whole have significantly reduced their energy consumption rates, " going green" will not be an option and the technology which we use and trust today will only continue improving . 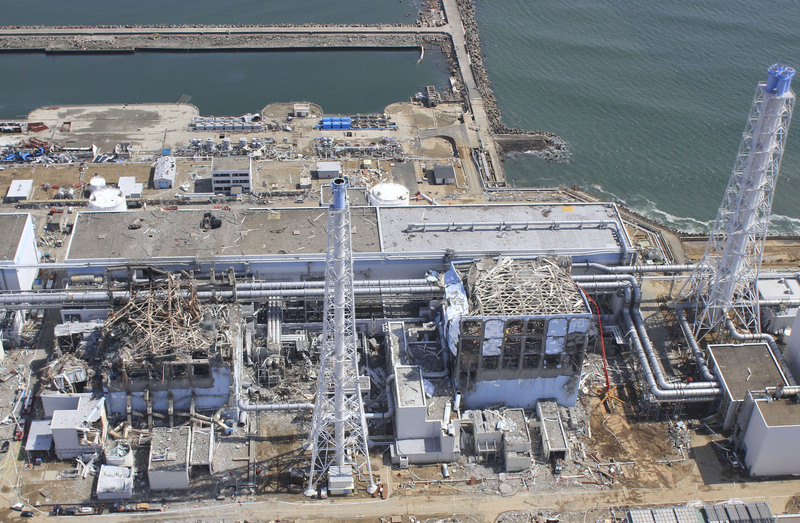 Japan is sitting on the third largest geothermal resource in the world, and their companies already make over 70% of the world's geothermal plant equipment. It's not cheap to explore for it and build plants, but nuclear isn't cheap either. to Meghan: hell. thanks for inspiring me to try to rebut your somewhat naive post. 1. 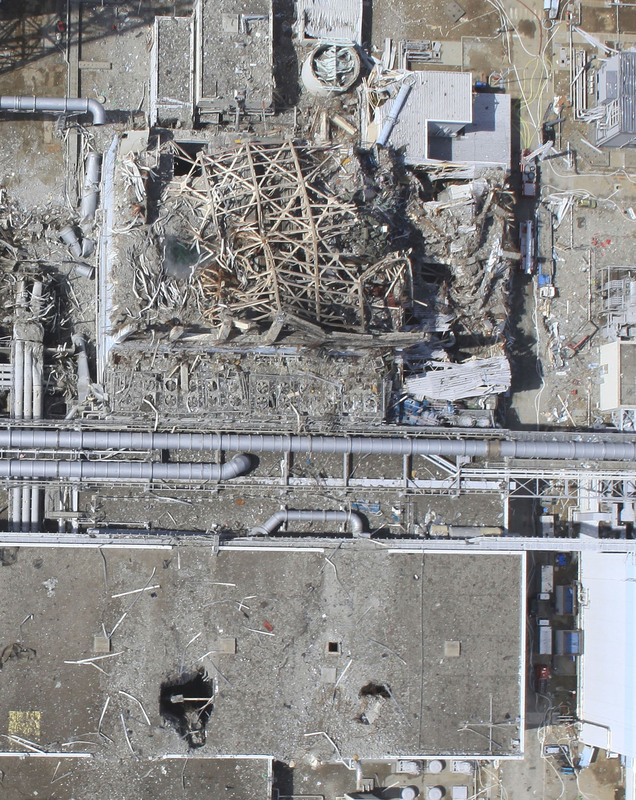 Nuclear Power Generation is unsafe because people neglect maintenance, attention to procedures, and reporting of problems [pipework at Fukushima 1 was known to be faulty for months/years prior]. It will only be safe if operated by perfect people and maintained at a perfect level. 2. Nuclear Power Generation is not cheap because the power generated is less than the power consumed in provision; because the public purse, rather than the industry's own insurance, indemnifies against accidents; and because there is no mechanism for disposal of the waste products. The only reason that we continue to impose the nuclear solution for power generation is that people in general are too lazy to be bothered to think about it and because the industry itself is happy to collect the cash from us. Interestingly enough power produced by nuclear power plants are cheaper than power produced by coal or natural gas. Nuclear fuel is relatively cheap compared to both of the previously mentioned fuel sources. The biggest problem with nuclear power is the high initial capital needed to create a plant. Not only is the fuel cheaper it also has a smaller carbon impact than either of the previous. The steam used to cool the reactor never comes in direct contact with the radioactive material (or shouldn't) and even if it does the water is cleaned before being released back out into the river/lake it was obtained from. Although ultimately we should look for renewable sources of power it simply is not possible at the moment. With current technologies and materials the ultimate efficiency for a solar panel is about 30% and wind power would take up to much land to provide the majority of our nations power. Currently we have no alternative fuel source that we can rely on. I personally believe nuclear fusion will be the best power source. It is non radioactive as it contains either one or two elements often used in combination. Deuterium and Tritium which are just heavy versions of hydrogen and is a near infinite fuel supply as it can be made out of hydrogen the most abundant element in the universe and the byproduct of the reaction is helium. For those of you who will say hydrogen bombs give off radioactivity that is only because an atomic bomb has to be used to set off the hydrogen bomb. Meghan's right. As is Esakrow. It's too easy to jump on the populist anti-nuclear bandwagon. Despite 10s of thousands losing their lives & livelihoods to a tsunami, the like of which the country had not seen in living memory, the world's media was focused on the "dangers" of Fukushima & nuclear power! 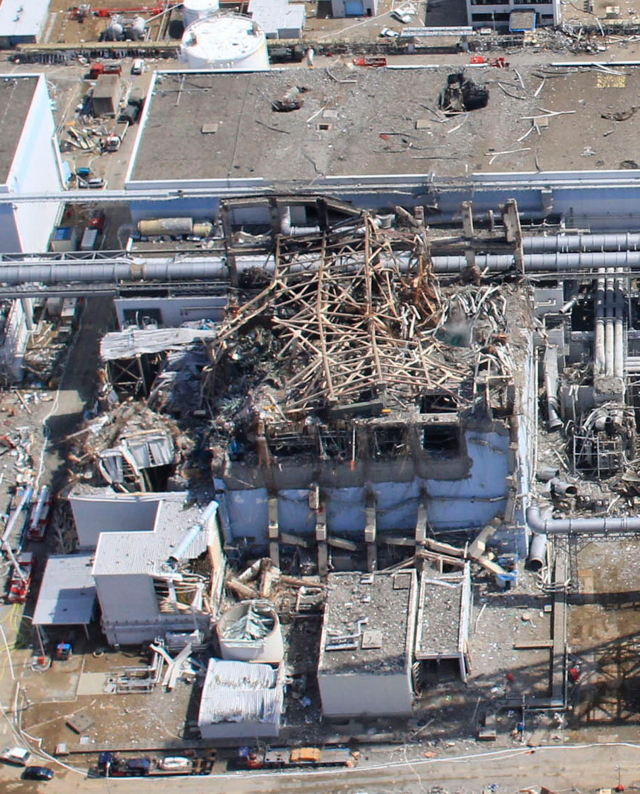 Fukushima was a big headache, for sure, and will ensure further security is deployed across the industry, but as yet it has not taken a single documented life to radiation! The hyperbole in comparison to the tsunami is beyond all sense of rationale. Well said. I wish more people understood this. At this moment in history green energy such as wind, solar, wave, and with a few rare exceptions (like Iceland) geothermal, are great ideas, but have no real practical application. The technology is already out there for safe nuclear power, such as Areva's gen 4 reactors. Also by reprocessing we reduce nuclear waste by up to 90%. The very people who oppose and protest nuclear energy are the people who create an environment where it is better to run older less safe reactors and bury excessive amounts of nuclear waste. There is no anti nuclear bandwagon. Just the relaisation that this technology was sold to us on a raft of lies. "They" told us you could turn a reactor off, in the sixities, by use of the control rods. LIES. They tell you this technology is clean. More lies. There is no sane alternative, except to turn them off, until we can replace them, accept a "lower standard of living", maybe we don't get elctricity every day of the week. At least the human race would survive that. BY reprocessing we may reduce the VOLUME of nuclear waste by 90%, but how hot is that remaining 10% eh? The total planetary amount of radioactivity, that isn't going down by 90% is it? OOO No, that's going way up... And will continue to do so until we turn our back on nuclear technology. And stop listening to the lying gits who sold it to us in the first place, just so as they could "breed" plutonium for bombs. (If you don;t belive me look it up!). It's a red herring. The real good stuff is yet to be exploited. Turning off the reactors would hasten the day, by making energy research IMPORTANT. You are brainwashed and just like mankind you've sold your soul to easy energy(nuclear). It's very similar to making a deal with the devil, for 50 years of energy you get half a million years of radioactive waste, what a deal. Fukushima will kill the planet over time and has increased all our chances of cancer greatly, and think of it, it's building up day by day in all our lungs and in all our food, and it can't be stopped for decades. Chernobyl was sealed in 10 days, not 100 years! Do you think any of us will not get cancer and other diseases related to low dose exposure in our lifetimes or is it such a "green" thing you can't imagine the truth? I really feel sorry for all the kids. They're going to see and be part of the biggest die off since the dinosaurs. My gieger counter is registering fairly high background radiation as I type this in western Washington state. Sometimes the readings are fairly alarming. Biggest 'die off' since the dinosaurs? Give me a break. As we pray for the surroundings after this catastrophic disaster, is it pretty amazing and terrifying at same time to se these pictures.. Thx. 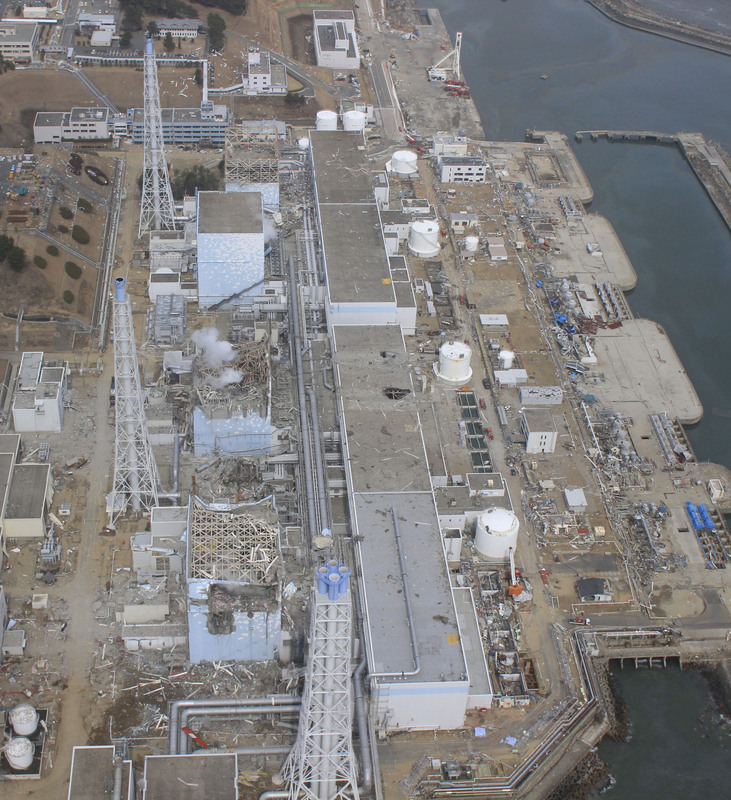 What happened at Fukushima is a terrible accident, but people who see it as the death of nuclear power are fooling themselves as well. Nuclear reactors are inherently safe because nuclear reactions don't just happen. Basic physics teaches us that a bunch of uranium just laying around will not spontaneously explode in a nuclear fireball. In a reactor uranium 235 or plutonium is pushed together to give a critical mass. This creates a self sustaining nuclear reaction that gives off heat which is used to create steam to turn a turbine just like any coal burning power plant. In order to regulate nuclear reactors control rods are used which are materials that absorb the free neutrons that cause the nuclear reaction to be self sustaining. If something goes wrong like it clearly did at Fukushima, the control rods drop into the reactor and 'kill' the reaction by lowering the mass below critical. 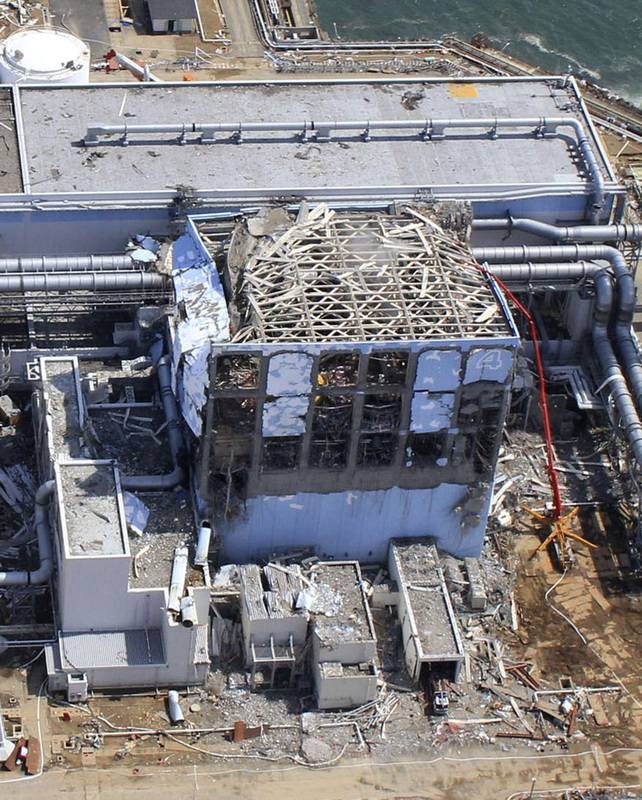 Powerplants can not turn into a nuclear explosion and even plant operators don't have to do anything to stop the plant. Computers monitor the situation and if the reactor gets out of safe limits an automated system shuts down the reaction. Plants can only meltdown which is when they heat up and cause the casing around the rods to melt and essentially the reactor gets turned into a pile of slag. 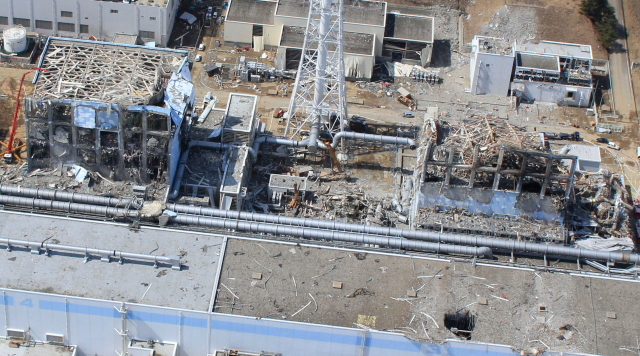 The explosion at the Fukushima plant was caused by steam under continuously building pressure not the reaction of nuclear material. For those who want to pipe the fallout horn learn a little about basic radioactive decay. In a nuclear reactor the basic fuel either uranium or plutonium undergoes radioactive decay; the uranium in this instance loses protons and neutrons when a neutron traveling at high speed collides into it. Uranium is no longer uranium and has become a byproduct which do to the nature in which it was created is unstable and radioactive. The difference is that these byproducts don't generally last more than a few minutes with the longest being a couple of hours. So the ultimate question is why is nuclear power feared so much? Because people associate nuclear power plants with a nuclear bomb. Power plants just aren't designed to do the same thing. 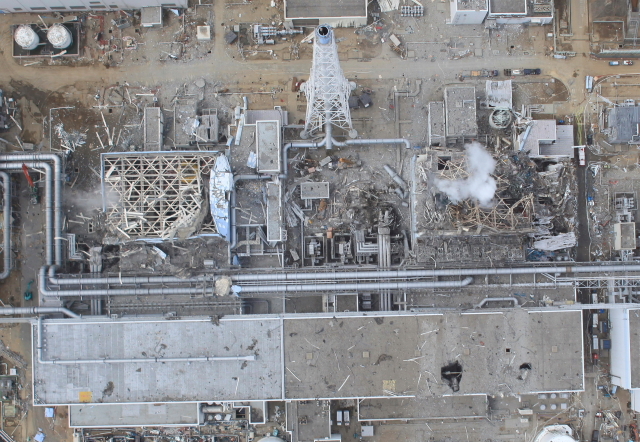 The biggest fear in nuclear plants is failure of the containment facility. Also fun fact, you should check how close you live to a nuclear power plant you may be closer than you think. Dude you have to get real. Keep inhaling those hot particles from Fukushima over time and you will get lung cancer. Apparently you are not taking into account how many TONS of radioactive isotopes entered the atmosphere and are continuing to do so every single minute of the day, and will be doing so for decades. It only would take a few pounds of plutonium spread out around the human population's lungs to kill everyone. As I type my geiger counter is going off at 37 uSv/hr, far higher than the 0.06 that is most common here. It can't be from the sun because the sun is down. I say Fukushima is with us all and is concentrating DAILY into all our food supplies. How favorable is nuclear power now you FOOL? NO NUKES!!!! I meant to say the reading was 0.37uSV/hr, not 37uSv/hr. Sorry, but most of the above as written by "Physics Guy" is tosh. Actually, I've re-read it and some of it is so misleading, I want to use stronger language. IF the by products were so harmless and inactive, then why do they need to keep em in a vast, constantly cooled pool, for five years, before they are safe enough to put in a dry cask? And here in the central UK I've measured 3.5 millisiverts since february last, despite being quite lax about replacing the batteries promptly. I estimate the actual reading would have been closer to five mSv per year, if I'd taken it more seriously. 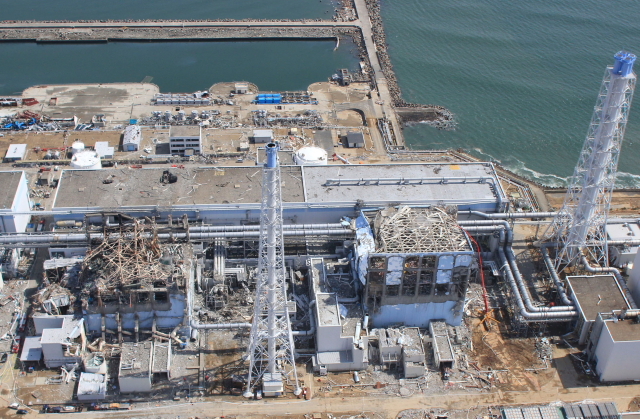 But no one else seems to be taking it seriously either, so I guess it doesn't matter..
Mitisu and Meghan, I think you are both right, the standby generators at Fukushima were specified to be placed on the roof, but that was inconvenient and the construction contractor got a variance. What difference could that make? Military reactors, excluding the Russian or perhaps more accurately the USSR military have been very reliable, but discipline in the private sector is impossible, people have rights you know, sailors don't. Thorium reactors may be much more reliable but not enough is yet known to say for sure. Maybe we should just use a little less energy, radical idea there, I know but it just might be possible. As a science fiction writer, oh what I could do starting from this true-life event. Any others out there wondering what could be done with this starting point? 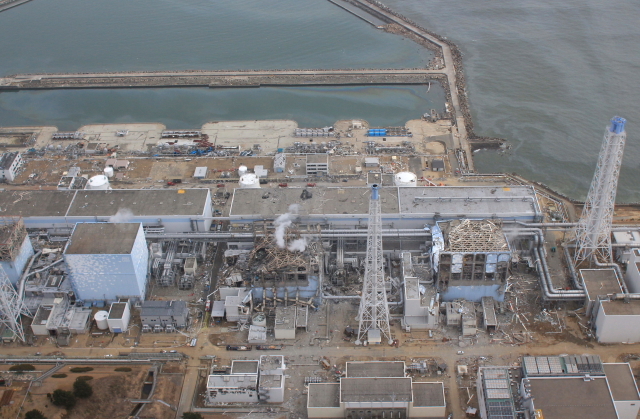 Yes radioactivity is bad when things go wrong but they were more than on top of the game at Fukushima! Wake up people just do your homework and then explain how a defueled reactor can explode? There are pictures above you have just looked at that show that the reactor dome is even removed and has a jib attached from its removal prior to the incident. The above images are a smoking gun as far as i am concerned, Hit Garth A's link above this post and make up your own minds is all i am saying but the truth stinks!